Left to right: Eliot Weiss, Oscar Santana, Shawn Martinez, Sal Bercys, Ilya Kotlyanskiy, Nile Smith, Alex Lenderman, Dalphe Morantus, Willy Edgard. Named One of the Best Books of 2007 by The Christian Science Monitor, Metro (UK), The Sunday Tribune (Ireland), and PBS Frontline/World. Brooklyn’s Edward R. Murrow High School is one of New York’s public education success stories: a charter school that serves a diverse neighborhood of immigrants and minorities and ranks among the nation’s best high schools. 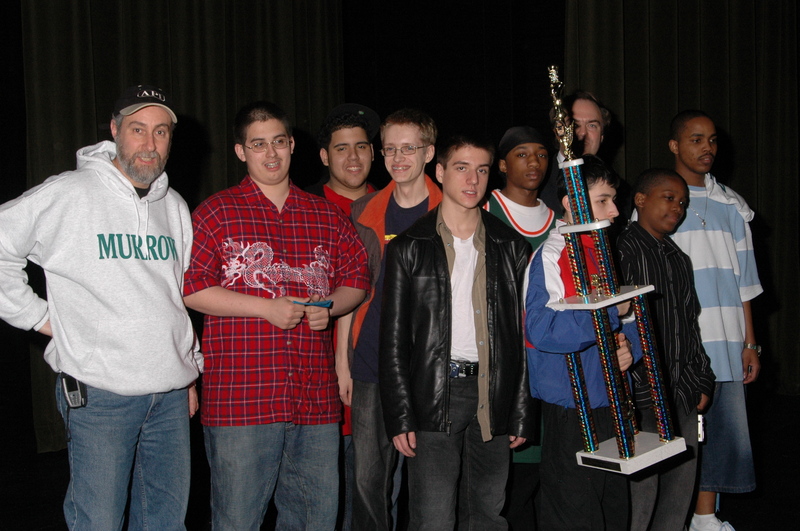 At Murrow, there are no sports teams except for an unconventional group of kids that make up the school’s powerhouse chess team. 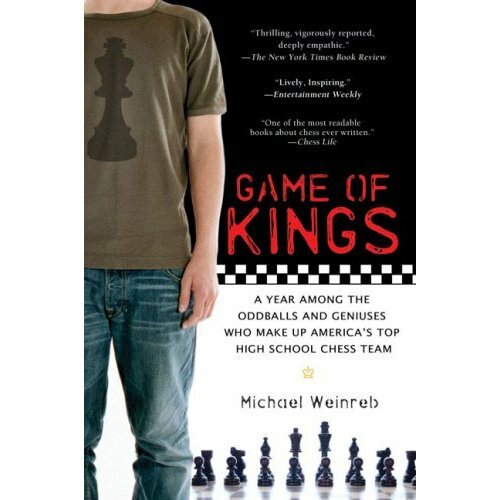 An award-winning, critically-acclaimed sports book as unconventional as the chess kids it features, GAME OF KINGS: A Year Among the Oddballs and Geniuses Who Make Up America’s Top High School Chess Team (Gotham paperback; January 2, 2008) by sportswriter Michael Weinreb follows the members of the Murrow chess team through an entire season—from cash games in Washington Square Park to the SuperNationals in Nashville, where the scrappy team goes up against the country’s best. Along the way, Weinreb chronicles their lives so far, their rise toward maturity and adulthood, and their discovery of new and different worlds, all through their participation in (and at times, addiction to) a sport that has long been stigmatized as a refuge for hyper-intelligent social misfits. Within the idiosyncratic team he discovers the calculus teacher (and former semipro hockey player) who guides the savants while struggling to find funding for his team; an aspiring rapper and tournament hustler who plays with cutthroat instinct; the team’s lone girl, a shy Ukrainian immigrant; the Puerto Rican teen from the rough neighborhood of Bedford-Stuyvesant who plays ingenious opening gambit named “The Orangutan;” and the Lithuanian immigrant and team star whose chess rating is climbing toward grandmaster status. 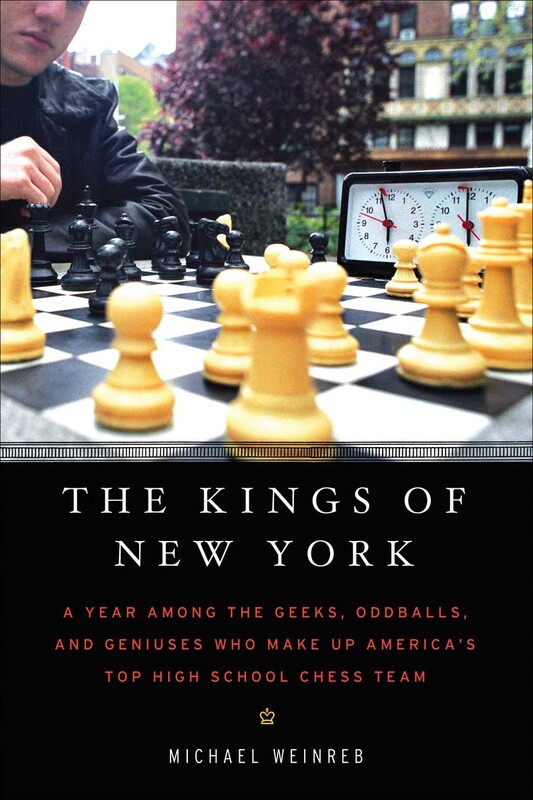 An inspiration to aspiring geniuses and students everywhere, GAME OF KINGS illuminates an inner-city school whose chess team succeeds against all odds. New York Magazine profile of Murrow High School.